For odor protection. Reduces underarm wetness. Turn dial to raise product. Remove plastic dome. Apply a thin even layer to underarms for maximum effectiveness. Do not over apply. For external use only. Do not use on broken skin. Ask a doctor before you use if you have kidney disease. Discontinue use if rash or irritation develops. Cyclopentasiloxane, Stearyl Alcohol, Talc, Dimethicone, Hydrogenated Castor Oil, Fragrance, Polyethylene, Silica, Dipropylene Glycol, Behenyl Alcohol. 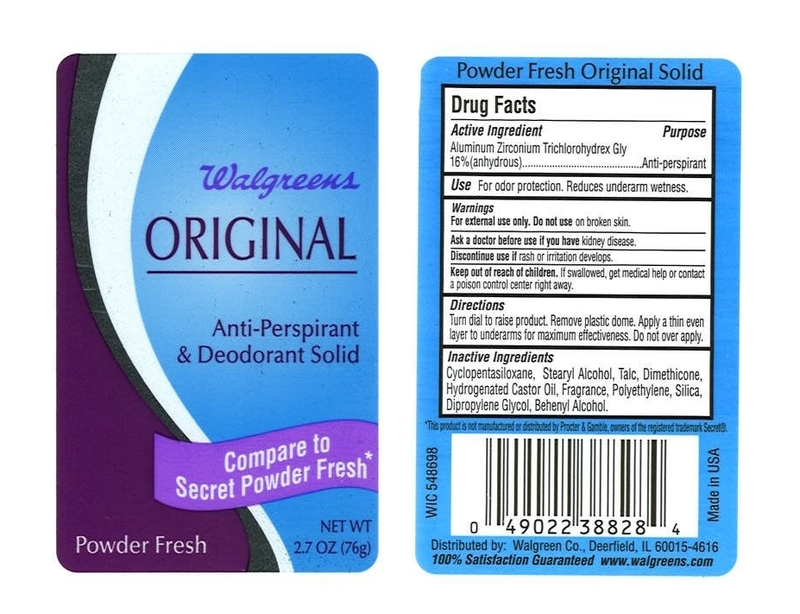 * This product is not manufactured or distributed by Proctor and Gamble, owners of the registered trademark Secret (R).